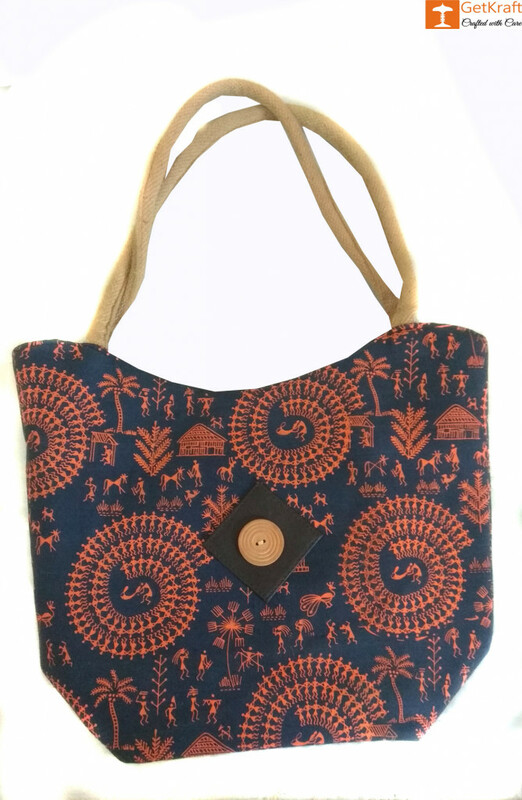 This bag is made of 100% Jute. It is strong and durable and is perfect for regular use. It has multiple compartments that will help you carry more and use it both as a shopping bag, carrying your lunch boxes and water bottles. 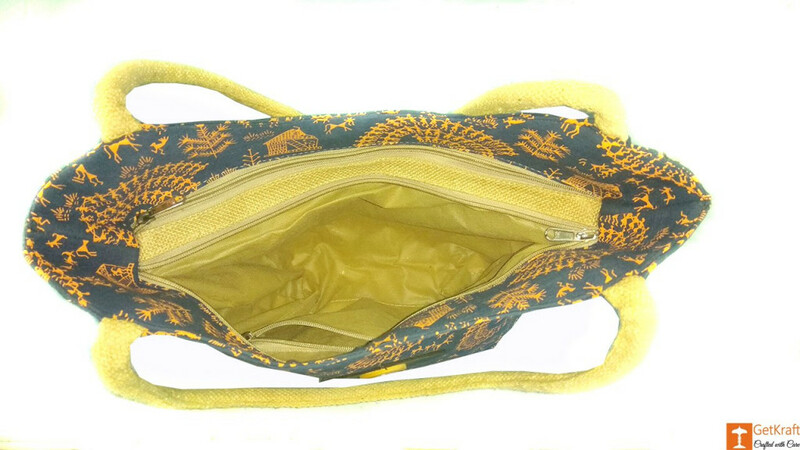 The bag has been designed with vibrant and colorful prints making it very fashionable.